The GET 6624-1-6-BL tumbler holds 24 ounces of liquid but has a rim-full capacity of 25.3 ounces. 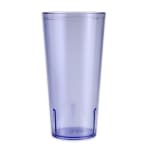 Its blue color fits in with various décors and is ideal for serving water. Stacking lugs built into the bottom of the cup prevent it from getting stuck when stacked with multiple cups. The textured exterior makes the tumbler easy to grip for lifting and tilting; it also hides minor damage. 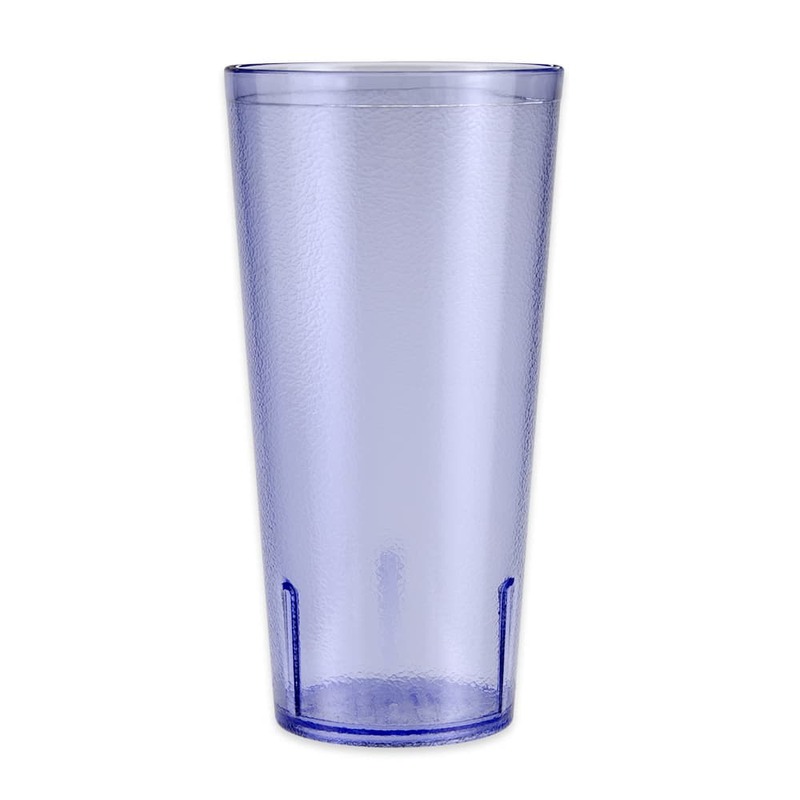 The GET 6624-1-6-BL tumbler is safe to clean in the dishwasher. Custom printing is available, and for more information, contact a customer care representative at 1-800-541-8683.